Backyard chickens are a growing trend! I myself have 5 hens, and they are fantastic pets. Chickens are not only educational, entertaining, cheap to care for, but they also give you fresh eggs. It's a win/win! Have you ever thought about starting your own backyard flock? 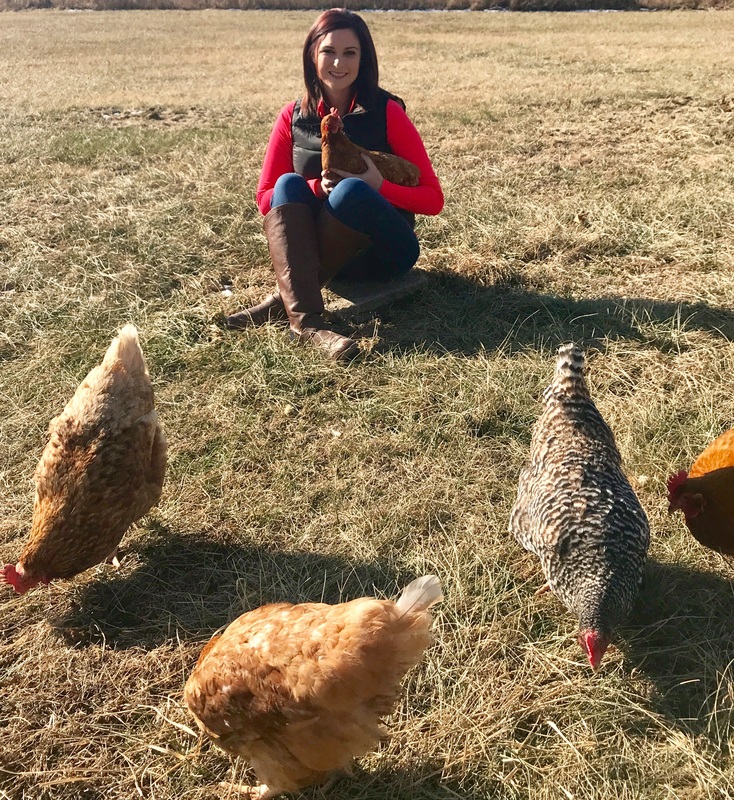 If you're interested, but need more information about the affect it could have on selling your home down the line, then read my tips on backyard chickens and real estate! Before you commit to starting your own flock always check city codes and HOA restrictions. Here in St. Robert, Missouri you can have chickens inside city limits as long as they are not a nuisance. If your HOA says no chickens, then that will trump any city ordinances. Get outside and talk to your neighbors. Find out how they feel about having chickens next door before you bring them home. If you have a neighbor who isn't exactly thrilled about the idea of chickens, it won't take much for that neighbor to have your chickens removed. This is why it's essential to speak with your neighbors first. Now that you've done your homework on city ordinances, looked into your HOA, talked to the neighbors, you're finally ready to take the plunge! First thing first, buy a nice coop! Make sure it’s attractive by decorating and painting it. Not only will your chickens be living in the fanciest coop on the block, but your neighbors will appreciate the effort! Pinterest has amazing ideas on how to spruce up a coop. Have fun with it! Don’t let your chickens be nuisance to neighbors. That translates to NO ROOSTERS! Roosters can be aggressive and they are ridicously loud. They don't care if you and your neighbors are sleeping, in their book, it's time to rise and shine. We had a rooster (by accident) named Cluck Norris. Cluck loved to make sure everyone was up and out of bed at 4am. Cluck is now living on a chicken farm in Lynchburg, Missouri, where he can crow his little heart out and not bother a sole. Hens are much quieter, however, sometimes they will sing, "the egg song". This generally only lasts for a few minutes and is not nearly as loud as a rooster's crow. It's their way of bragging that they just laid an egg for you! Luckily, hens only lay eggs during the daylight hours so you won't need to worry about them waking anyone. We also We have a hen named, Gertie and she occasionally sings "the egg song" after laying. Gertie is very full of herself and wants everyone to know she laid an egg. Our coop is in the backyard, just off of our living room, and when Gertie sings I usually have to turn the T.V. down and listen hard to determine what that sound is. Always fence your flock in when you live inside city limits. Don’t let your chickens free-range in the neighbor's yard. This is not only bad chicken etiquette, but its a quick way to have your chickens reported as a nuisance. Fencing your flock will also help to protect them against predators such as stray dogs and cats. Incidentally, Cluck Norris was attacked by two stray dogs while free-ranging, don't worry he recovered! We fenced in our flock after the attack and have never had another issue with predators. During the spring and summer, it's likely you'll have more eggs then you know what to do with so share eggs with your neighbors! Your neighbors are more likely to enjoy your chickens if they're also getting eggs from them. The affect of your chicken coop on selling your home will largely depend on the buyer looking at your home. Consider the popularity of back yard chickens in the area you live in. Clean your coop and rake the ground before listing and keep up with it, especially before a showing. What you don't want to happen is a potential buyer tours your backyard and the only thing they see is a dirty coop and chicken droppings all over the yard. And lastly, ask your real estate agent for advice. Their knowledge of the area is going to be most beneficial to you. They may suggest including in the remarks of your listing, that you are willing to remove the coop if buyers don’t want it. This could be peace of mind to a potential buyer that loves your home, but not the chickens and the coop. ﻿Having a backyard flock will not doom your home to sit on the market forever, especially if the right buyer comes along. I have read stories from fellow chicken enthusiasts who listed their home and the buyer not only asked for the coop to stay, but asked for the chickens as well! Do you live inside city limits and have chickens? Tell me all about it! Have you ever sold or bought a home that had a chicken coop? I want to hear about your experience! If you’re interested in starting your own backyard flock, but you have questions, please message me. I'll talk chickens with you! Check out my video below!